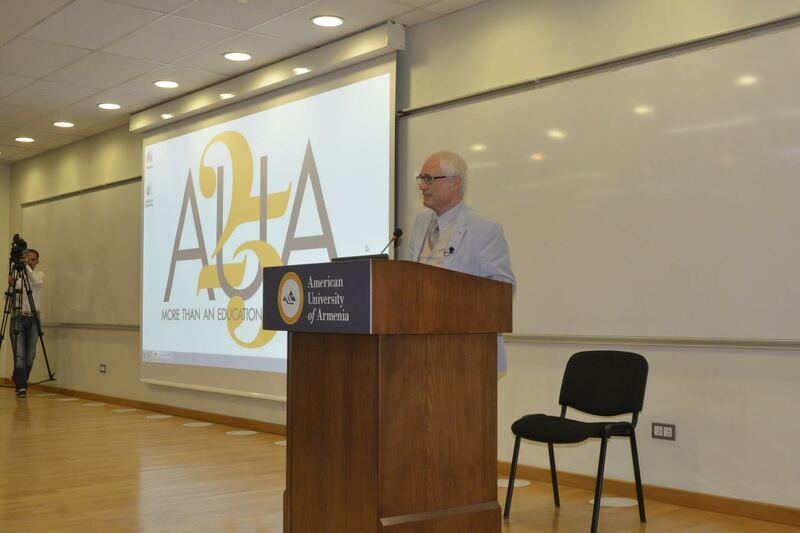 YEREVAN, Armenia – On October 3, renown composer Tigran Mansurian visited AUA to give a lecture on Komitas as the Armenian forerunner of musical composition, his connection with Armenian literature, and his influences in modern music. Tigran Mansurian is a leading Armenian composer of classical music and film scores. He was born in Beirut and educated in Yerevan. 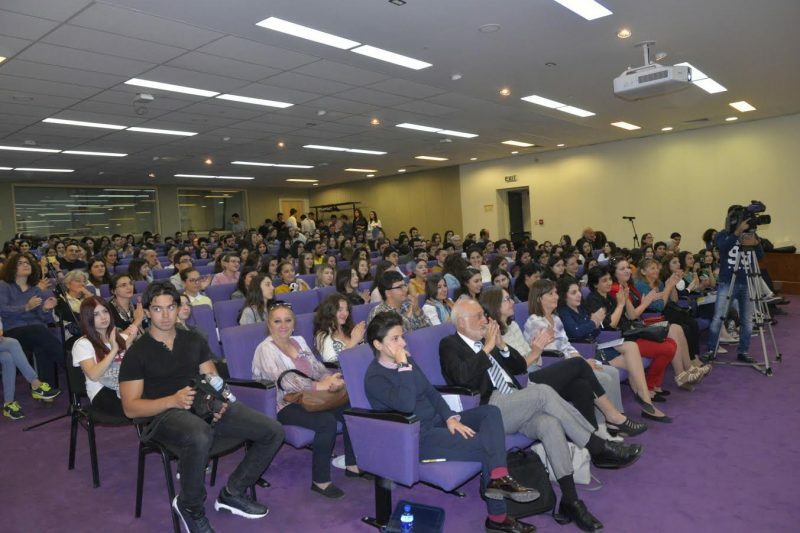 He studied first at the Romanos Melikian Music School under the Armenian composer Edvard Baghdasaryan and later at the Yerevan Komitas State Conservatory. His album entitled Monodia was nominated for the 2005 Grammy Award for “Best Instrumental Soloist(s) Performance (with Orchestra)” and “Best Classical Contemporary Composition”.